On a recent trip to the Red Cliffs Desert Reserve in St. George, I learned about a creature with an amazing sense of place. The chuckwalla is a large member of the lizard family which resides in the desert southwest, an area well known for its temperature extremes. 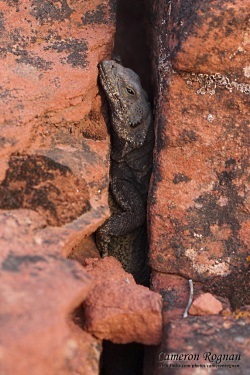 Like many other desert dwelling creatures, the chuckwalla has evolved a unique set of adaptations that enable it to thrive in its environment. Chuckwallas live almost exclusively in rocky areas, and these rocks are the key to their survival. As cold-blooded creatures, they cannot regulate their own temperature, and instead rely on the environment to warm and cool their bodies. 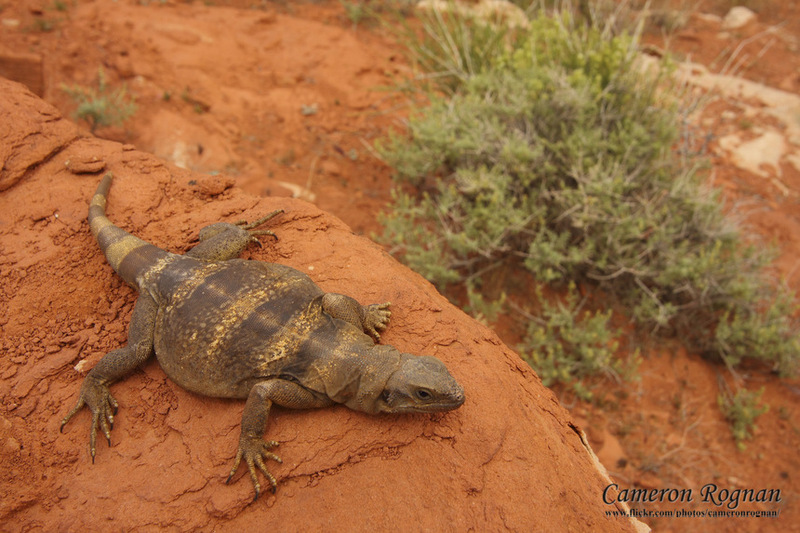 The chuckwalla’s flat body shape allows it to warm rapidly on a cool morning by pressing itself tightly to a rock in the sun. This behavior also allows it to quite literally keep a ‘low profile’ from predators. Another temperature control adaptation involves the chuckwalla’s color. While individuals exhibit regional variations from black to brown to yellow, they also have the ability to adjust their skin color to best absorb or reflect sunlight and therefore help regulate their body temperature. During the day, temperatures often soar higher than a chuckwalla can handle, and the lizards retire to the cool shade of the rocks. 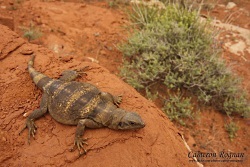 Apart from helping chuckwallas maintain their temperature, rocks also play a key role in the lizard’s defense against predators, including coyotes and birds of prey. When threatened, a chuckwalla will retreat to the nearest crack or crevice and take in large gulps of air. 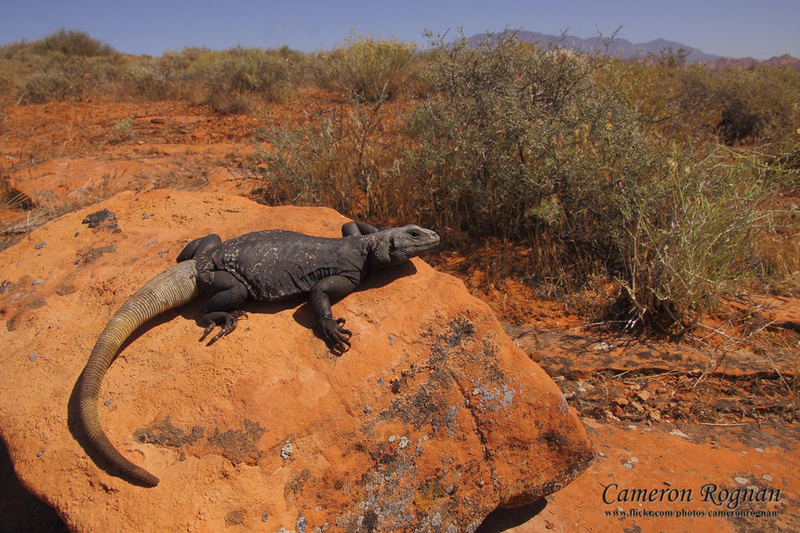 These big breaths inflate the chuckwalla’s chest cavity like a balloon, wedging its body tightly to the rocks around it – a brilliant move which makes the lizard nearly impossible to pull out by force. Most predators will soon give up and move on to find an easier meal. This behavior gives a whole new meaning to the chuckwalla’s ability to ‘fit’ its environment. Thank you to Rocky Mountain Power Foundation for supporting the research and development of this Wild About Utah topic.